Flo Rida will be performing in concert to help celebrate the grand opening of the Microsoft Store at the Florida Mall on Saturday, August 18th, 2012 at 2pm. In order to guarantee a spot at the concert, wristbands will be handed out on the actual grand opening of the store that will take place on Thursday, August 16th with a ceremony at 9:30am and wristbands for the concert distributed at 10am. The first 200 people who visit the store on Thursday, August 16th, 2012 will receive two complimentary premier-viewing wristbands to the Flo Rida performance on Saturday, August 18th. One of these premier-viewing wristbands also grants access to the meet-and-greet to meet Flo Rida after the show. 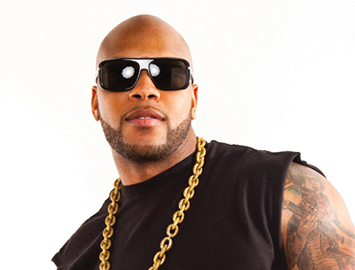 A minimum of 1200 people in line will receive two premier-viewing wristbands to the Flo Rida performance. This entry was posted in Concert and tagged Rap, Special Event, Top 40 on August 9, 2012 by Orlando Concert Guide Staff.